Talented and energetic music artist, Igho Ogaga, popularly known on stage as, Gaskillz, unveiled Vadiber Limited as his new management team. 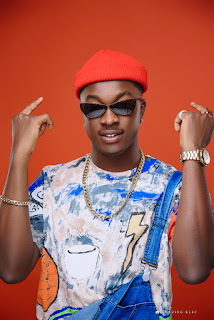 The “O’Baby Pancake” crooner took to his social media handle to make the announcement on the 7th of August, 2018. Vadiber is a management and promotional company based in Lagos, Nigeria. Management deals like this are expected to position artists as more serious brands. The South/south born luminary, Gaskillz, got his education from Hussy College Warri and Delta State Polytechnic, respectively, he started music professionally, three years ago, with his debut single “O’Baby Pancake”, released in 2015. The video of “ O’Baby Pancake ” was released in 2017 and generated a lot of vibes locally and internationally. Gaskillz started singing and playing instruments from a tender age, as a vocalist and guitarist in Church. entertaining in the industry, much is expected from the skilled Gaskillz, especially the regular release of good music and appearance to shows in the industry. The South-South born artist said he has so much to give to the industry. Gaskillz is expected to release a single in two months’ time, although he features in Highest Ahmedo’s Single, “Notice”, which is set to be released next week.